These Girls Rule and Boys Rule Christmas cards are a really cool set of Christmas cards, great for all boys and girls of any age. 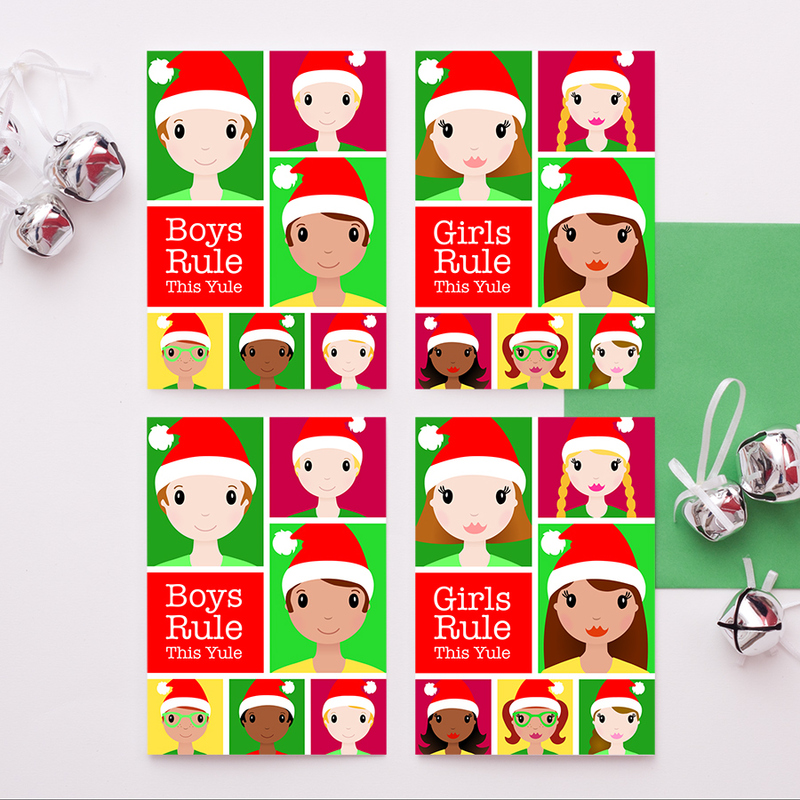 The pack includes four A6 cards, two girls rule cards and two boys rule cards and are blank inside for your own special messages. 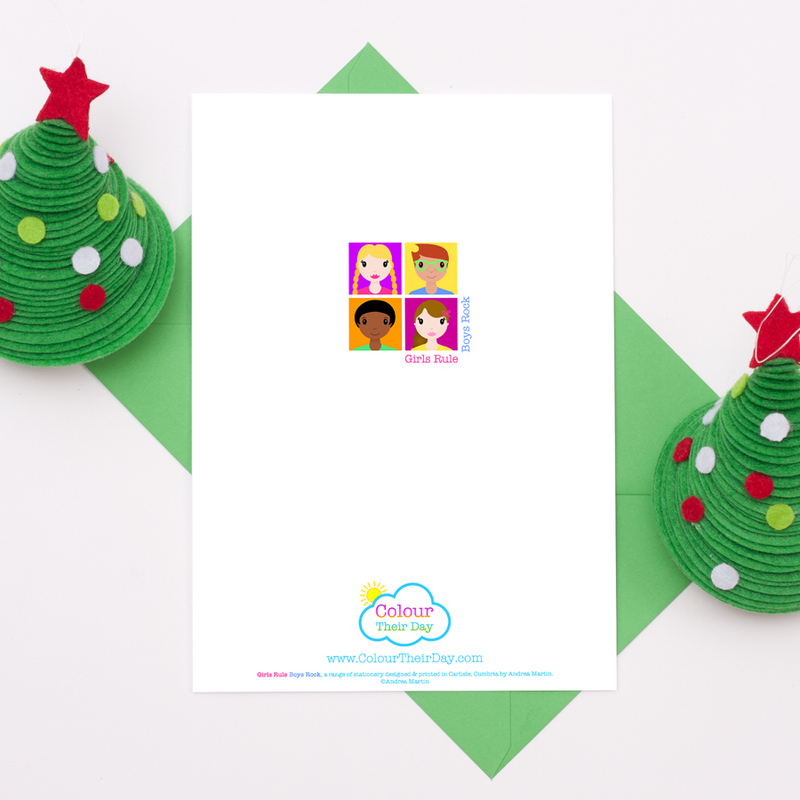 If you would like three of one design and one of the other design, or all of one design, please just contact me. 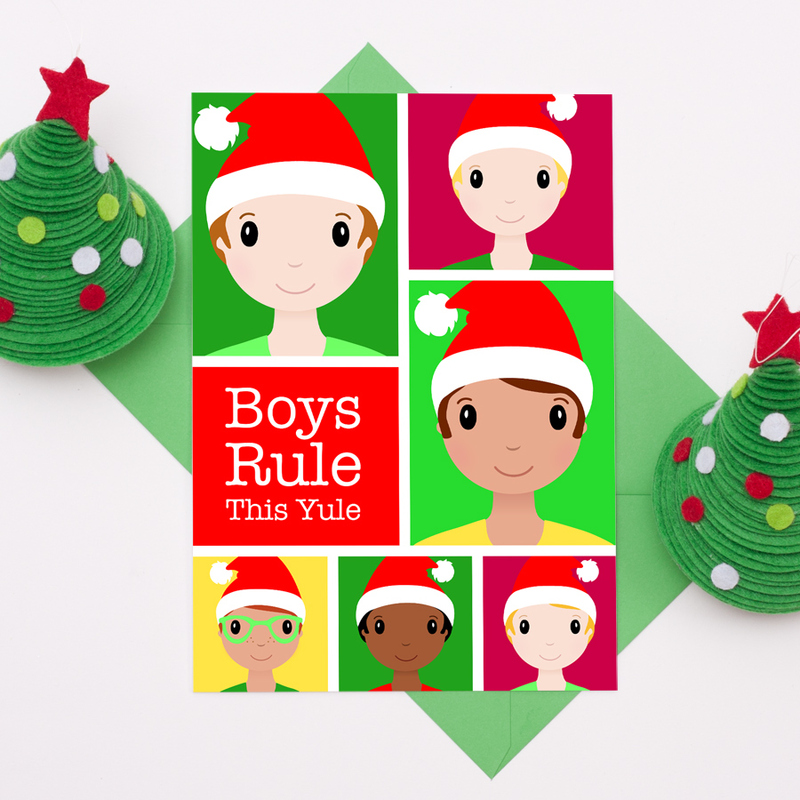 These designs are also available as a single A6 card and a single A5 card. 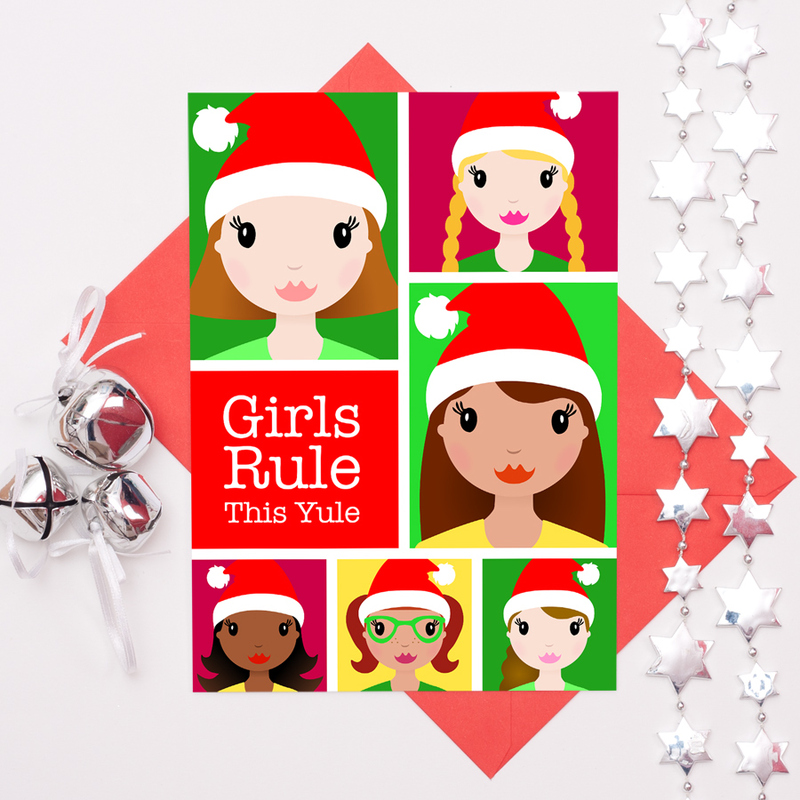 Be the first to review “Girls Rule And Boys Rule Christmas Cards – Pack Of 4” Click here to cancel reply.